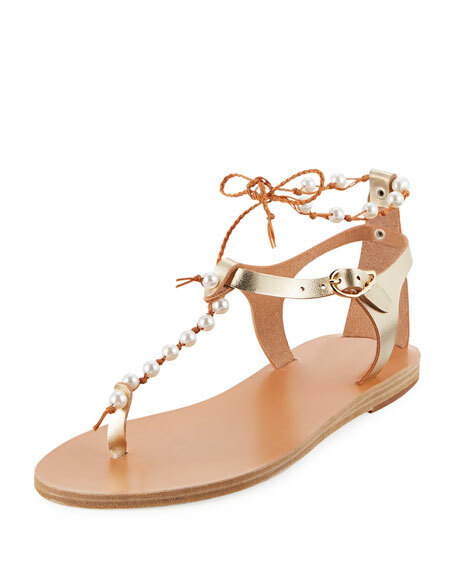 Ancient Greek Sandals "Chrysso" metallic leather sandal. 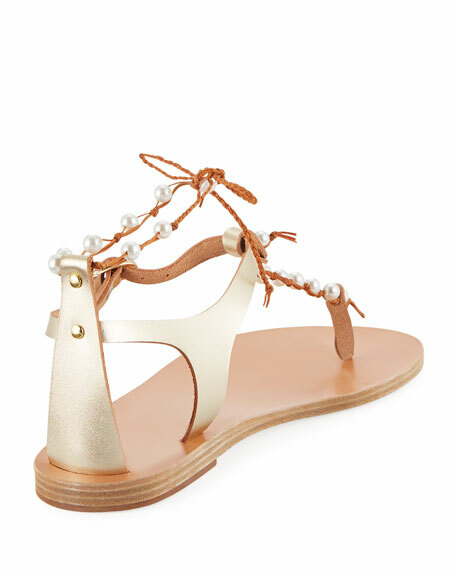 Sizing Note: Ancient Greek Sandals run true to size but come in full sizes only. If you are between sizes, we recommend ordering the next full size up. About Ancient Greek Sandals: Shoe designer Christina Martini offers playful, contemporary interpretations of ancient Grecian cultureusing time-honored techniques. 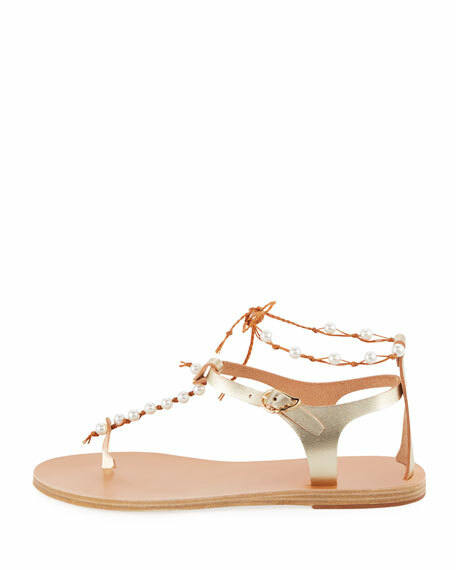 Handmade in Greece, each sandal features a thin anti-slip rubber heel. Signature champagne-hued, wing-shaped buckles evoke those worn by Hermes, the messenger of the gods. For in-store inquiries, use sku #2380318.